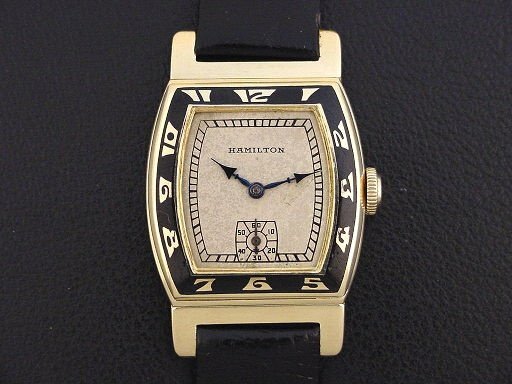 Scarce Hamilton “Coronado” men’s Art Deco design wristwatch in solid 14K yellow gold with black enamel bezel, circa 1929. 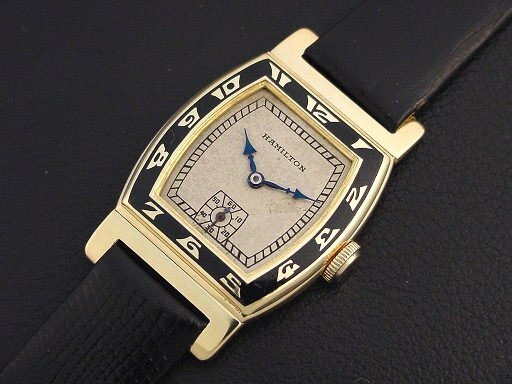 Among the most desirable of the early Hamilton models, the “Coronado” has hinged lugs and fantastic Art Deco stylized Arabic numerals set in black enamel. It was priced to consumers at $125.00 in 1929. 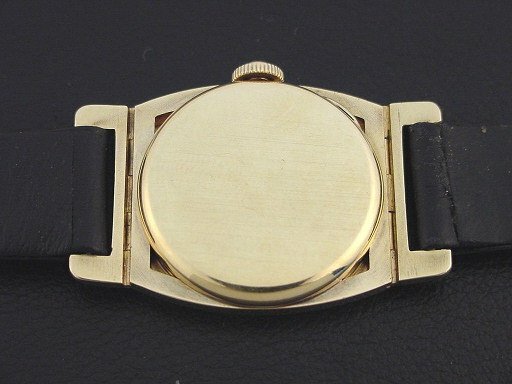 With only 1,530 examples produced in yellow gold, it is a very difficult watch to find today. This example is in crisp, excellent condition showing only very light wear. 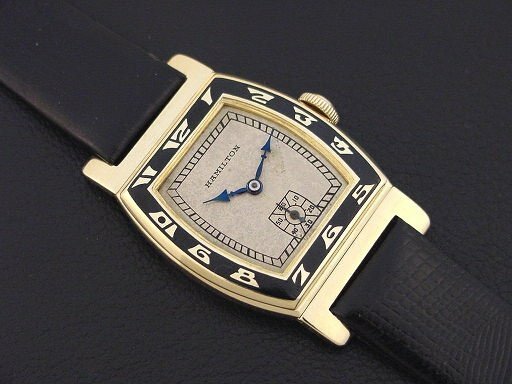 Black enamel bezel is excellent with only a few light marks. Caseback is excellent and unengraved. Case measures 43mm long and 29mm wide. Dial is very good. Has new glass crystal. 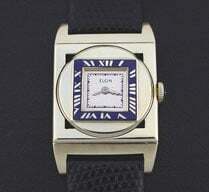 This watch is powered by its correct 19 jewel Hamilton grade 979-F adjusted movement.